Today you will learn about The Dire Consequences of Eating Disorders! Eating disorders, which are characterised by the abnormal eating habits, obsession with losing weight, and purging to avoid weight gain, are some of the most deadly mental conditions. Patients suffering from eating disorders face a lot of anxiety, depression, and confusion, therefore it’s important to seek professional help as soon as possible. A person suffering from such a condition has to deal with a lot of problems both at home and at their workplace. Some of the common eating disorders include anorexia nervosa, bulimia nervosa and binge eating disorder, and patients suffering from any of them have irregular eating habits and they are extremely obsessed with their weight. When we talk about abnormal eating patterns or behaviour, it includes everything from excessive eating to avoiding certain foods with an intention to prevent weight gain. And whether you talk about excessive consumption of food or inadequate eating patterns, they all have severe consequences for one’s health. Anorexia nervosa, bulimia or binge eating, they are equally common among male and female. And, these lethal psychiatric disorders can really have dire consequences for an individual’s health if left untreated. 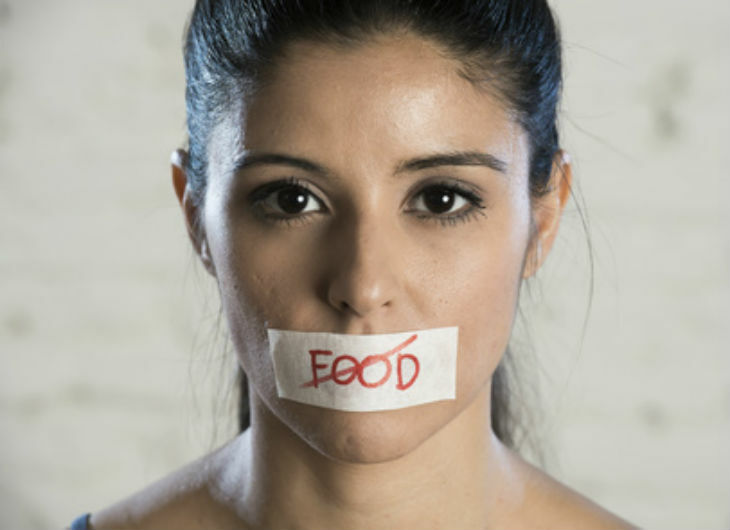 Eating disorders can affect an individual at any point in time in their lives. However, they are very common among teens and adults. And the worst part is that these conditions can even lead to other mental illnesses like anxiety, depression and alcohol addiction. It takes a lot of time to recover from eating disorders if you fail to get professional help in the initial stage itself. One of the most common eating disorders that affect a wide range of people across the globe is anorexia nervosa. It is a condition wherein an individual is obsessed with reducing their weight and has an illogical and unrealistic perception of body image. An individual suffering from this illness feels that they are overweight, which forces them to consume an inadequate amount of food. In short, people with this condition fail to maintain a healthy weight which has severe consequences for their health. Bulimia is another common eating disorder, which is characterised by frequent episodes of binge eating. And this abnormal eating behaviour is often accompanied by behaviours like excessive exercise and forced vomiting. Again, people suffering from this illness are extremely concerned about their body weight. According to Charter Harley Street, “a bulimic may also be very secretive about food and unwilling to discuss it, or frequently want to eat alone and isolate. Other symptoms and indicators are the erosion of dental enamel due to acid in the vomit, swelling of the glands near the cheeks, a depressed mood and frequent complaints of sore throats and abdominal pain.” So, it’s better to seek quick treatment. Binge eating disorder is slightly different from bulimia – a condition wherein people often take the support of purging and excessive exercise to prevent themselves from gaining weight. Binge eating is a mental condition that is characterised by frequent episodes of excessive eating but in the absence of behaviours like hard exercising and purging. There are several causes of eating disorders such as biological factors like irregular hormone functions and nutritional deficiencies, and psychological factors like negative body image. In addition to that, eating disorders can also be caused by peer pressure. Now let’s talk about the consequences of eating disorders on one’s life. An eating disorder affects a person’s life in many ways, and reduced productivity at the workplace is one of the most common among them. Since people suffering from this mental condition often remain depressed, they can’t really focus on their task which eventually reduces their productivity. Eating disorders have enormous health consequences, and hence it’s important to treat them quickly. They affect the cardiovascular system and gastrointestinal system. In addition to that, they also lead to neurological and endocrine problems. For example, the gastrointestinal problems caused by eating disorder include nausea and vomiting, bacterial infections, stomach pain, and fluctuations in blood sugar level. A person with an eating disorder finds it difficult to maintain their relationships with their family members and friends. Because they are ashamed of their behaviour, they often hide it from others, and that’s the reason they like spending their time alone. They do not enjoy the company of their friends as well as their family members because they don’t want their abnormal behaviour to be seen by anyone. So, if you are also suffering from an eating disorder, make sure that you take professional help to improve your quality of life.